A study published online by the Journal of Epidemiology and Community Health found a link between the type of food that women regularly ate, and the age they went through menopause. 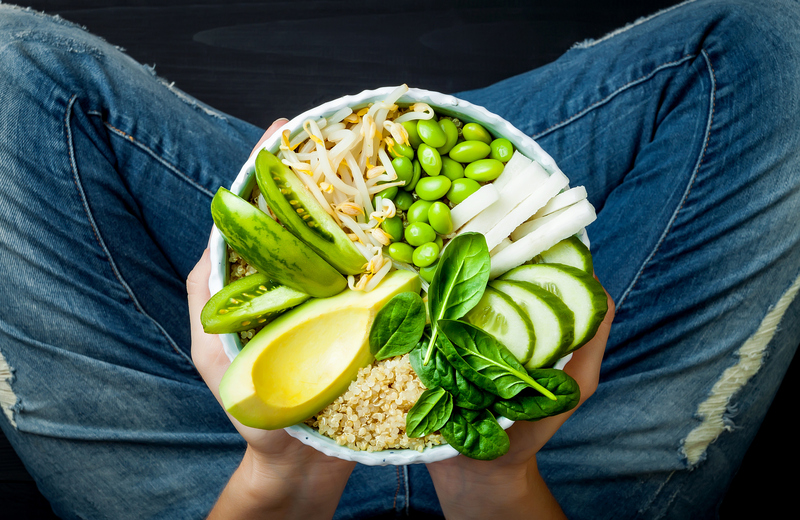 Specifically, they found that women who regularly noshed on servings of refined pasta and rice went through the change earlier, while women whose diets focused more on fish, beans, and other legumes started menopause at a later age. Each daily serving of oily fish, beans, and other legumes that a woman ate was associated with an average 3.3-year delay in the start of menopause. And for every additional serving of refined pasta and rice a woman ate each day, menopause was on average 1.5 years earlier. Researchers also found that a higher intake of two nutrients, vitamin B6 and zinc, also appeared to delay menopause — by 0.6 and 0.3 years, respectively. In addition, vegetarians in the study reached menopause at an earlier age than meat eaters. It’s not clear why this was the case, but researchers speculated that the antioxidants in legumes and the omega-3 fatty acids in certain fish might have a protective effect on a woman’s eggs, essentially helping to preserve them for longer and delaying the start of menopause. On the other hand, refined carbohydrate sources in the diet could hasten menopause, suggested the study authors, because these foods boost the risk of insulin resistance, which could interfere with hormone production. “The message from this study is pretty much consistent with the recommendations for chronic disease prevention and cardiovascular disease prevention,” says Dr. Sylvia Ley, an instructor in medicine at Harvard Medical School. That is, eating a nutritious, well-balanced diet provides health benefits — in addition to potentially holding off menopause for a few years. How old you are when you go through the change may have implications for your future health. Past research has linked certain health risks to menopause that occurs either very early (before age 40) or late (age 55 or older). Going through menopause at an earlier age has been associated with lower bone density and a higher risk for osteoporosis, cardiovascular disease, depression, and — in some instances — premature death. While overall later menopause is probably healthier, it is associated with an elevated risk of developing breast, ovarian, and endometrial cancers. The average age for menopause is 51, and the women in this study were close to that number, with an average age at menopause of 50.5. This study does have limitations. For one, it relied on women to accurately remember what they ate in the past, and didn’t prove that the dietary differences actually caused the shifts in menopausal age. In addition, it included only 900 women — the ones who began menopause — in its final analysis, and used a relatively short four-year follow-up period, says Dr. Ley. That said, the findings are still worth noting, she says. They add to the ongoing discussion about the role of diet in menopause. They also seem to back up data from the Nurses’ Health Study II, which suggested that dietary factors — specifically lower levels of calcium and vitamin D in the diet — may be linked to an earlier menopause. Regardless of whether research ultimately proves that diet influences age at menopause, there’s already ample evidence that adopting a healthy eating pattern — including plenty of oily fish and legumes — is a good idea, whether you’re looking for better health or a later menopause. I have had hot flashes since about 40-45, still am having them. I am 66 soon. Can’t take meds as have had dvt. When will these stop. Given that I’ve read articles re: how a late menopause “may” be positively linked with increased incidence of some cancers, please do tell why it’s a good thing to delay menopause, past, say, 45-50 years of age? Even your article states there may be some problems w/going through menopause at 55 or later. Also no discussion of “nature vs. nurture”, did all of the participants know the age at which their mothers & grandmothers (any aunts, etc) had gone through menopause so the genetics influence on age of menopause could be taken into account? If not, how valid are the studies?